Why is the Giro Rosa on at the same time as the Tour de France – and should it move? Every year during the Giro Rosa, I have conversations with people who either say that they find it hard to follow the women’s Giro, or who suggest that it would get more coverage if they were on at a different time. I love talking about women’s cycling, but it can be hard to have long conversations on twitter etc, so I wanted to put my thoughts in one place. First of all, the Giro is the longest women’s race on the calendar. Women’s races are limited to 7 days without explicit permission from the UCI, and while there used to be three women’s ‘Grand Tours’ of ten days – the Giro, the Tour de l’Aude and the Grand Boucle (sort of the women’s Tour de France, but not run by the ASO), we lost the other two in the 2000s, when a lot of women’s races disappeared. So the Giro is important as a long race, with room for a range of different riders to shine (stages for sprinters, Classics types, ITTer, pure climbers etc) in the same race, and it has a long history, with all the excitement and energy that comes from racing in Italy. It always attracts most of the best riders and biggest teams in the world, and just like the men’s Grand Tours, stage wins here are as as much a major goal for riders as the GC is. 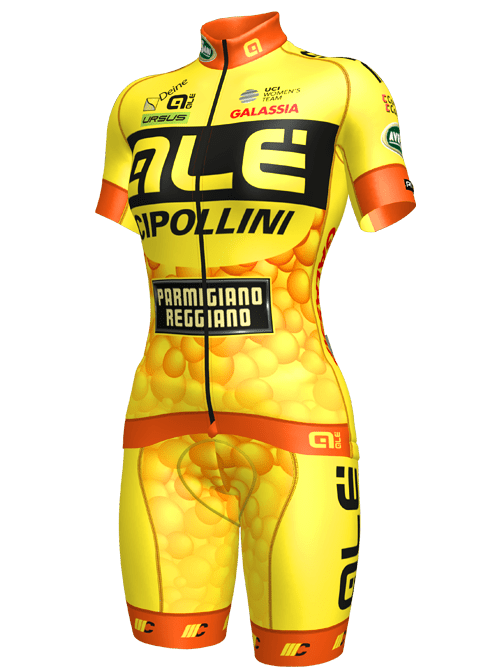 As a side issue, this year is both the first year of the UCI’s Women’s World Tour, which the race is a natural part of – and there has been less TV coverage on Italian station RAI than we’ve become used to, and less media from the race organisation – but those are separate issues I’ll get into another time. So why is the Giro on at the same time as the TdF? I love that American-style voiceover, it feels so incongruous! But wow, the Cairns 2016 MTB World Cup will be an amazing weekend of racing, and as always, we get to watch the exhilarating racing in the Australian jungle, full of rain, mud, spiders, snakes and stinging trees live, and get a whole load of incredible media. It’s SO easy to fall in love with MTB, so if you’ve never watched any, start now! Click the links to go directly to the streams, with clever countdown ticker to the start – and if you miss the races live, they’ll be archived there as well. After a wonderful-busy 6 weeks of road cycling, we’ve got space to pause, before the Spring Classics start with a bang on 27th February. It’s a good time to look back on the racing we’ve had so far… and to plan your Virtual Directeur Sportif team for the season! If you’ve never played DS or other fantasy cycling games, there are a lot of them about, and two particularly good ones for the women’s road racing, at Podium Café (FSA VDS) (including a game for the men’s side too) and Chicabike. I’ll tell you more about them below, but I want to take a moment to sing the praises of playing them in general.